Several Democratic senators are seeking a hiring surge in a part of the Homeland Security Department they say President Trump has overlooked: the country’s ports of entry. Sen. Claire McCaskill, D-Mo., this week introduced a measure to hire 500 new Customs and Border Protection officers annually until the agency is fully staffed. Supporters of the Border and Port Security Act (S. 2314) noted the agency maintains 1,200 vacant positions and that a previous CBP workforce model deemed more than 2,000 additional officers necessary. The bill, cosponsored by Sens. Jon Tester, D-Mont. ; Heidi Heitkamp, D-N.D.; and Kamala Harris, D-Calif., would continue to add 500 officers annually until CBP met the requirements spelled out in its staffing model. It would include nearly $70 million annually for fiscal years 2018 through 2024. Congress authorized CBP to hire 2,000 customs officers in a fiscal 2014 omnibus spending bill, but the agency has struggled to fill the positions, leading to the 1,200 remaining vacancies. In 2016, Obama administration officials testified to Congress that CBP workforce models suggested the agency needed an additional 2,100 officers on top of the current shortfall. Trump has called on DHS to hire more than 15,000 new front-line law enforcement employees, but has directed those efforts to focus solely on Immigration and Customs Enforcement and Border Patrol positions. 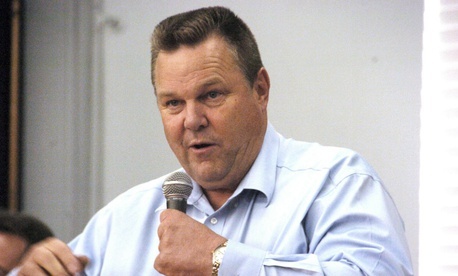 Tester said the bill would both strengthen the border and help create new jobs. The House has already authorized CBP to hire 5,000 new officers—in addition to 5,000 border agents—as part of the 2017 Border Security for America Act. Trump’s fiscal 2018 budget called for an increase of just 63 CBP officers to support National Targeting Center operations. CBP has said the agency is focusing on filling the positions still vacant from the hiring authorized in 2014. The measure does not include any new authorities or incentives for CBP’s recruiting, despite its struggles to onboard both customs officers and Border Patrol agents. Tony Reardon, president of the National Treasury Employees Union, has long pushed for the hiring of CBP officers due to the ongoing vacancies and the economic benefits they would provide by increasing international business. “For all the talk about improving border security and backing federal law enforcement, this bill actually delivers it,” Reardon said. “CBP right now is plagued by low morale, excessive overtime shifts, long duty assignments far from home, increasingly dangerous working conditions and intense pressure to do more work with fewer people,” he said. If CBP fails to meet the 500-officer target by 2020, the Democrats’ bill would require the Government Accountability Office to report on the reasons for its failures. The agency would report annually on progress and update hiring targets accordingly. The bill would also authorize necessary support staff to assist the new officers. The Federal Law Enforcement Officers Association also endorsed the measure. "We feel the proposed legislation will keep both the citizens of this country and our law enforcement officers safer," said Dominick Stokes, the group’s vice president for legislative affairs. “This bill will help ensure law enforcement has the necessary resources and manpower needed to complete our wide range of tasks and deter criminal activities at our ports of entry."